The unstoppable development of technology and its adaptation to the workplace have radically changed the way we interact with the furniture available. Along with the computer, we can find smartphones, tablets, laptops, and multiple displays, among others, that have changed the way we sit and move. These changes are especially significant in 24/7 control centers, where the ergonomic design customized to each operator is key for the optimal performance of their duties. The emergence of this new technology has led, therefore, to new moves and gestures to be taken into account when designing the technical furniture, the distribution within the room, the lighting, and of course the chairs. This should resolve specific functional issues with the new work habits, with the greatest simplicity and elegance. In GESAB we anticipate new ways of working to understand how people change the way it moves and interacts, providing not only the best solution but a unique and differential design. 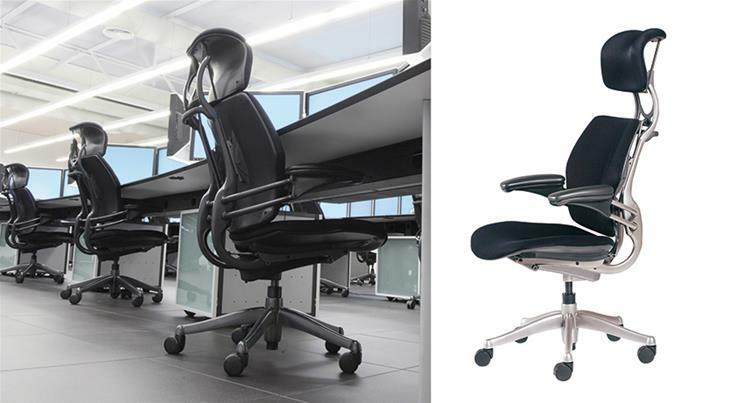 The advanced technology of our ergonomic 24/7 chairs favor the way in which the user sits, avoiding bad postures and gestures. The revolutionary reclining mechanism is adjusted to body weight automatically, so that the chair moves with the person accompanying perfectly their own movements. This effect is reinforced by the dual pivot support that automatically adapts to the different postures that adopts the spine. Alternate computer work with mobile or tablet should not affect the ergonomics of the chair itself, although the movements and gestures are different. This is important to adapt the armrests, which must be synchronized to provide a perfect fit, as well as to automatically allow dynamic change position headrest. Knowledge, experience and anticipation of user needs are key to anticipate the uses of technology and how we interact with it, going from one device to another. It is the triumph of the movement.